A pretty mug with green deisgns, features four 100% Irish Leprechauns! 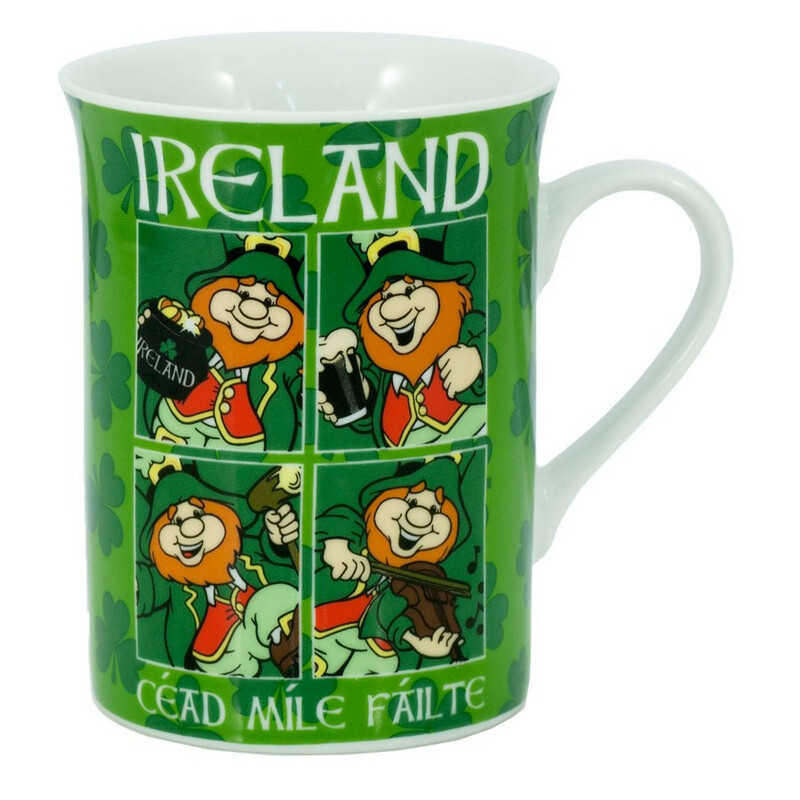 The perfect Irish mug for your tea or coffee break. A funny collection of accessories, mugs, aprons and games on the theme of Ireland, its sheep and its Leprechauns! Discover Ireland with the collection "Ireland", to add an Irish humoristic note in your kitchen and your indoor!